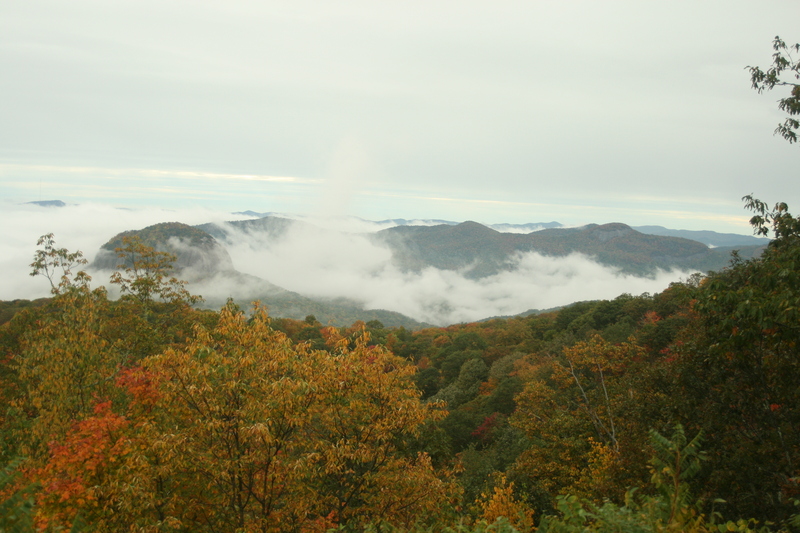 The Great Smoky Mountains are one of those places of wonder right in our own backyard. Not only have the coal and timber communities cultivated the banjo, bluegrass, and moonshine, but they are one of the most unique habitats in the world due to their forest canopy chemistry. As one of the oldest mountains chains on earth, their caps are often rounded and covered in trees, providing sheltered habitat at a variety of altitudes for critters great and small. In fact, it’s the small ones that actually deserve the most notoriety – the mountain chain boasts the highest diversity of amphibians in the world and herpetologists travel long distances to find the many salamanders hiding under the Smokies’ logs and leaf litter. This kind of refuge is increasingly important in the struggle to keep amphibians alive. According to the USGS, there are 31 species of salamander and 13 species of frog. 24 of the salamander species are the lungless variety, offering a refuge of interesting traits not found much elsewhere (find the full list here). 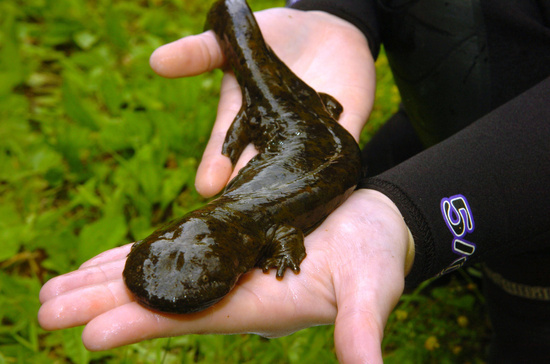 Perhaps the most notorious of these is the hellbender, the largest salamander, at around 28 inches long and live up to 25 years. They prefer cool, oxygenated streams and are not tolerant of pollution or sedimentation. As a result, their population is shrinking across their range from New York to Arkansas everywhere but the Smokies, which offers them great water quality protected by federal lands. Many of the salamanders in “the salamander capital of the world” are endemic to the region – so not only does that make the Smokies a biodiverse area, but also an ark of amphibian variety. An example of this profiled by the National Park Conservation Association is the red-cheeked salamander, known for its voracious appetite that polishes off more mass in prey for its body weight than any other animal in the park. Like many of the other places profiled in this series, the Smokies are a UNESCO World Heritage Site for its biodiversity, including 3500 species of trees along with its amphibian life. The mountains are held up as an example of nature untouched by humans, with the opportunity to observe continuing natural selection in such a pristine setting. Of special importance to these evolutionary studies are the lungless salamanders, of which all 24 species in the area are supposed to have diverged from a single ancestor. 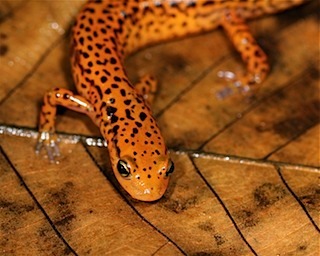 Threats to the salamanders are the threats to the cool, clean water they depend on. The most immediate is the hemlock wooly adelgid, which is killing hemlocks by the thousands. Hemlock trees grow along river banks and keep the water much cooler than it would be exposed to the open sunlight by providing a thick umbrella of shade. Also, although Great Smoky National Park, Pisgah National Forest, and Cherokee National Forest protect much of the lands these salamanders depend on, the Smokies are deeply nestled in coal country. 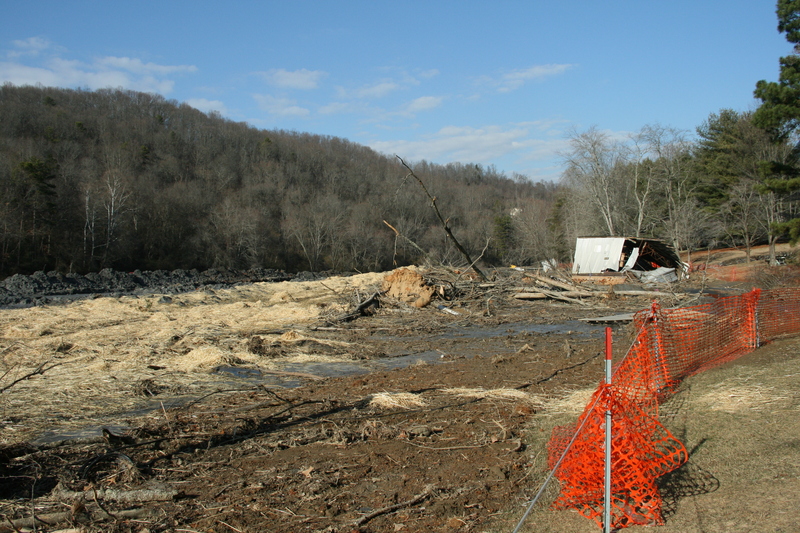 As a result of mountaintop removal mining, acid mine drainage, coal combustion, and fly ash spills, the rivers are contaminated with toxins ranging from sulfuric acid to mercury that leave the riverbeds uninhabitable. The heat and toxin sensitive salamanders therefore serve as the modern canary in the coal mine for the impacts of coal energy, from mining to combustion to global warming. I maintain a small peice of land near short mountain in Woodbury, Tennessee. I enjoyed this article about the amphibians. I believe the majority of people miss out on the beauty nature has to offer when visiting the Smokies. I am one of those people who look at the small things. Thanks for the picture of the salamander and thanks for promoting nature. While the brook trout is a native fish here in the Smokies it is a non-native fish in the Cascade range that people stocked for fishing.